Australian shipbuilder ASC has welcomed the release of the Government’s Defence White Paper which revealed plans for a larger fleet of future warships and submarines for the country’s Defence forces. Commenting on the release of the White Paper, ASC Interim CEO Stuart Whiley said the company was “willing to assist” the Government in achieving the objectives outlined in the document. “As Australia’s builder of complex warships and the home of Collins Class submarine expertise, ASC welcomes the Defence White Paper as providing greater clarity to industry on future Defence requirements,” Mr Whiley said. ASC Shipbuilding Chief Executive Officer Mark Lamarre said the Offshore Patrol Vessel project and the Future Frigates project were key priorities for the company. “ASC has built a highly capable and efficient shipbuilding workforce with the skills, expertise and knowledge required for future shipbuilding projects,” Mr Lamarre said. 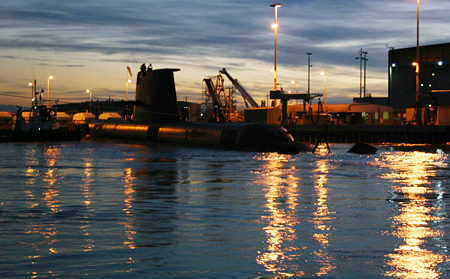 Mr Whiley said ASC was already contributing to the navy’s plans for submarines, having seconded more than 20 ASC submarine experts to the Future Submarine Program. According to him, ASC’s ongoing role as builder of the Air Warfare Destroyers and builder and maintainer of the Collins Class submarine fleet makes it a “key interface with Australian industry”. “ASC employs more than 2,600 people in South Australia and Western Australia and draws on a network of thousands of Australian, or Australian-based suppliers,” Mr Whiley concluded.